PROVO, Utah -- Every year, hilarious photos of children with Santa surface on social media, but a woman's photo of her one-year-old baby using sign language to signal for "help" has gone viral. 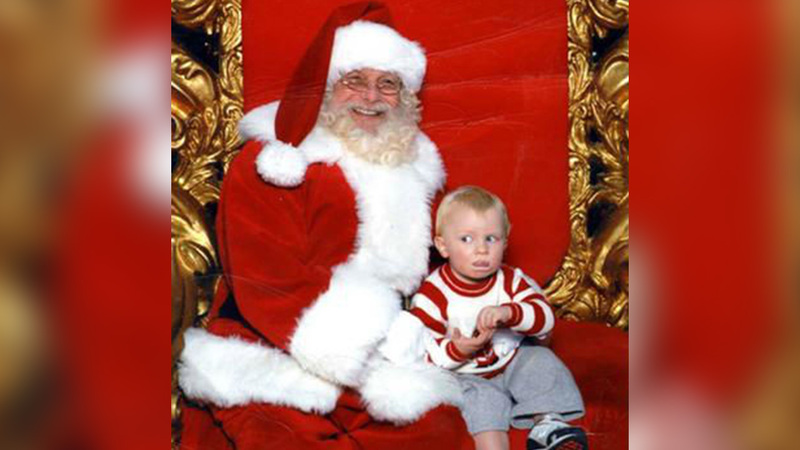 Kerry Spencer has shared the photo of her son, Samuel, using American Sign Language to signal distress from Santa's lap every year for 12 years. However, this year was different. "We all laugh at the photo now," Spencer said. "Posting it to Facebook is one of our favorite family traditions." Spencer said her friend, Mette Harrison, encouraged her to tweet the photo this year and it quickly grew in popularity with more than 7,000 retweets and 28,000 likes in a week. Spencer said she didn't realize her son was signing for help until she saw the photo. "The poor guy didn't love Santa very much," she said. "We didn't try to take him to go much after that." The mom of two said she used sign language to communicate with her kids before they were able to talk. "It is so very useful to be able to communicate with your baby," she said.